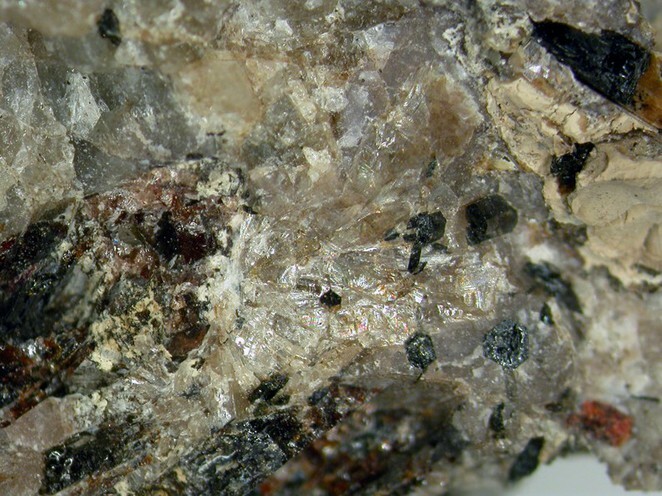 Nordite-(Ce): Mineral information, data and localities. Distinguished from lanthanum dominant nordite by Levinson in 1966, who added the suffixes, dividing nordite into two species. The root name is for the northern latitudes, where nordite was first found. 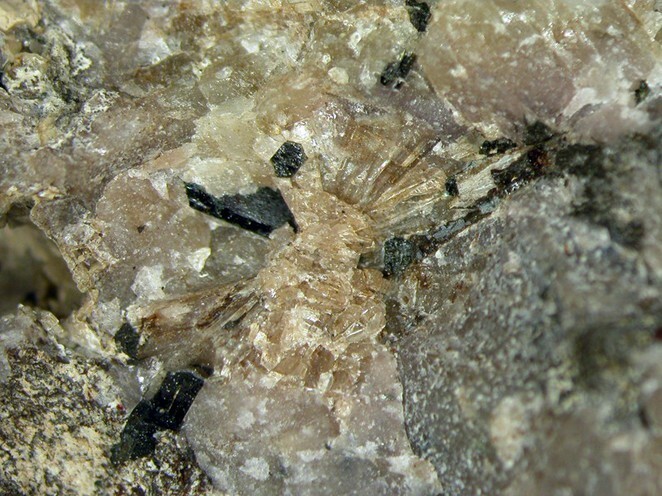 The zinc analogue of Ferronordite-(Ce) and Manganonordite-(Ce). The cerium analogue of Nordite-(La). Natrosilite 6 photos of Nordite-(Ce) associated with Natrosilite on mindat.org. Ussingite 5 photos of Nordite-(Ce) associated with Ussingite on mindat.org. Vuonnemite 2 photos of Nordite-(Ce) associated with Vuonnemite on mindat.org. Cleiophane 2 photos of Nordite-(Ce) associated with Cleiophane on mindat.org. Villiaumite 2 photos of Nordite-(Ce) associated with Villiaumite on mindat.org. Steenstrupine-(Ce) 2 photos of Nordite-(Ce) associated with Steenstrupine-(Ce) on mindat.org. Magnesio-arfvedsonite 1 photo of Nordite-(Ce) associated with Magnesio-arfvedsonite on mindat.org. Sodalite 1 photo of Nordite-(Ce) associated with Sodalite on mindat.org. Manganoneptunite 1 photo of Nordite-(Ce) associated with Manganoneptunite on mindat.org. Natrolite 1 photo of Nordite-(Ce) associated with Natrolite on mindat.org. Semenov, E.I. Barinskii, R.L. (1958) The composition characteristics of the rare- earths in minerals. Geokhimiya: 1958(4): (Eng. trans. pp. 398-419). Balashov, Yu.A., Turakskaya, N.V. (1960) Lanthanum maximum in the rare-earth elements in lamprophyllite. Geokhimiya: 1960(7): (Eng. trans. pp. 740-746). Bakakin, V.V., Belov, N.V., Borisov, S.V., Solovyeva, L.P. (1970) The crystal structure of nordite and its relationship to melilite and datolite-gadolinite. 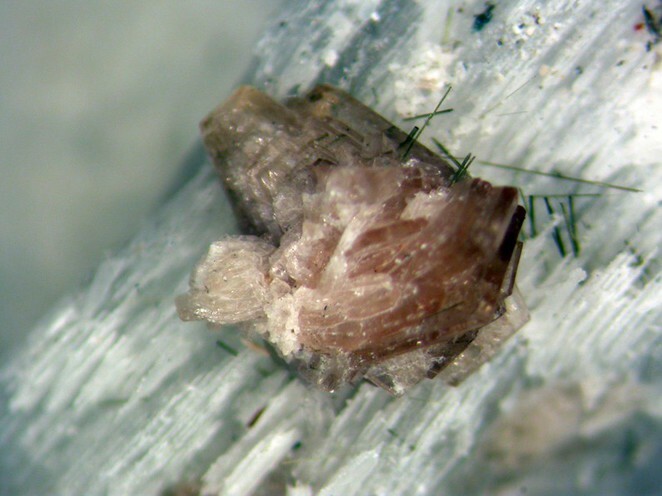 American Mineralogist: 55: 1167-1181. WIGHT, Q., and CHAO, G.Y. (1995) Mont Saint Hilaire revisited. Rocks & Minerals, 70, 90-103; 131-138. Lapis 29(1), 47 (2004); Agakhanov, A.A., Pautov, L.A., Sokolova, E., Hawthorne, F.C., Karpenko, V.Yu., Siidra, O.I., Muftakhov, V.A. (2016): Odigitriaite, CsNa5Ca5[Si14B2O38]F2, a new cesium borosilicate mineral from the Darai-Pioz alkaline massif, Tajikistan: Description and crystal structure. Mineralogical Magazine, 80, (in press).